Everyone loves deviled eggs. 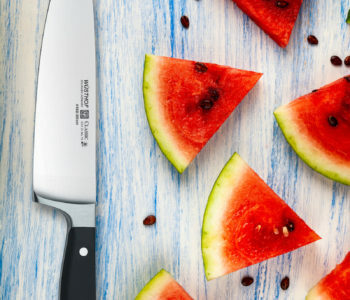 They are the perfect finger food for any spring brunch or summer BBQ. However, just because deviled eggs are common, doesn’t mean you have to serve the common deviled egg. 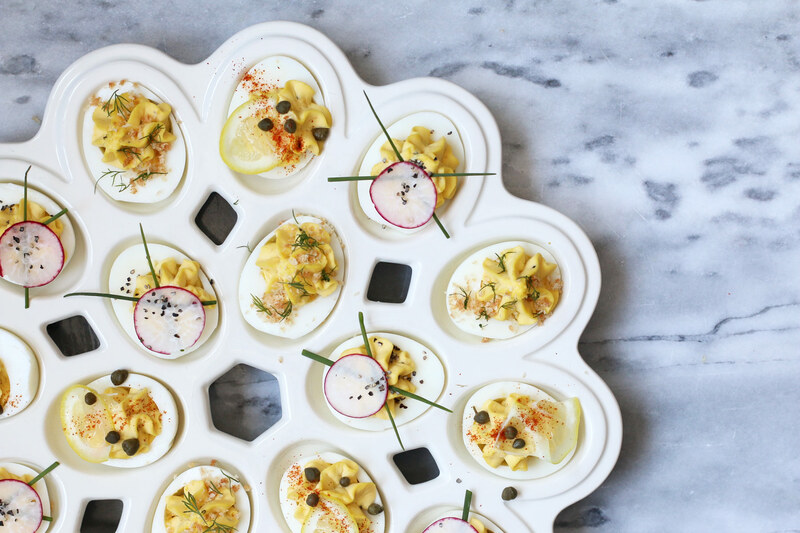 Use these artisan deviled egg recipes to spice up the average deviled egg with flavor combinations that will have your guests impressed and craving more! Peel all of the hard boiled eggs. Slice all the eggs lengthwise. Remove the yolks and put them in a medium sized bowl. 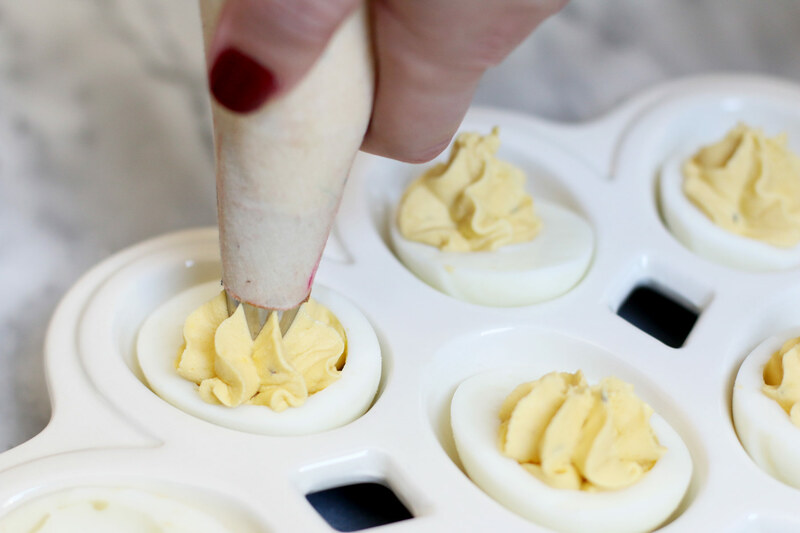 Place the egg whites onto the dish you’ll be using to plate the deviled eggs. We used a deviled egg dish to display each artisan design. Combine the mayo, mustard, garlic powder, salt, and pepper with the egg yolks. Stir together until you have a smooth and creamy consistency. Place the tip of your choice into the piping bag. We used tip #4B . Scoop the yolk mixture into a piping bag. 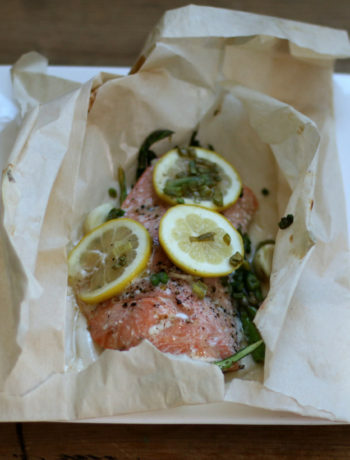 Start by squeezing the top of the bag with one hand and using your other hand to guide the tip where you want. 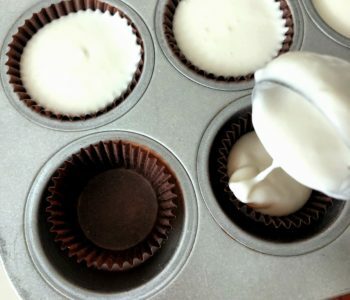 Start piping in the center of each egg white and pull the piping bag straight up as you squeeze until the egg is filled to your desired height. 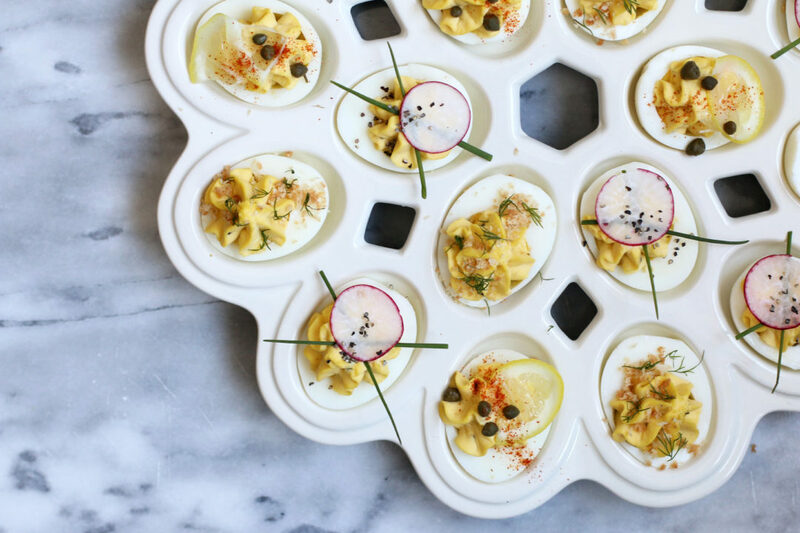 Use a deviled egg dish to accentuate your artisan look. Cut each lemon slice into fourths, you’ll use one 1/4 for 1 egg. Twist the thin lemon slice onto the egg and drop a couple capers onto the yolk mixture (they will only stick to the yolk mixture). Sprinkle a little cayenne pepper on top. Add two chive strips to each egg and place one thinly cut radish slice on top of the chive strips. Grind a little fresh pepper on top. Sprinkle the breadcrumbs onto a baking sheet and bake at 350 degrees fahrenheit for about 3-5 minutes, or until they are lightly toasted. Sprinkle across the deviled egg and add little bits dill. 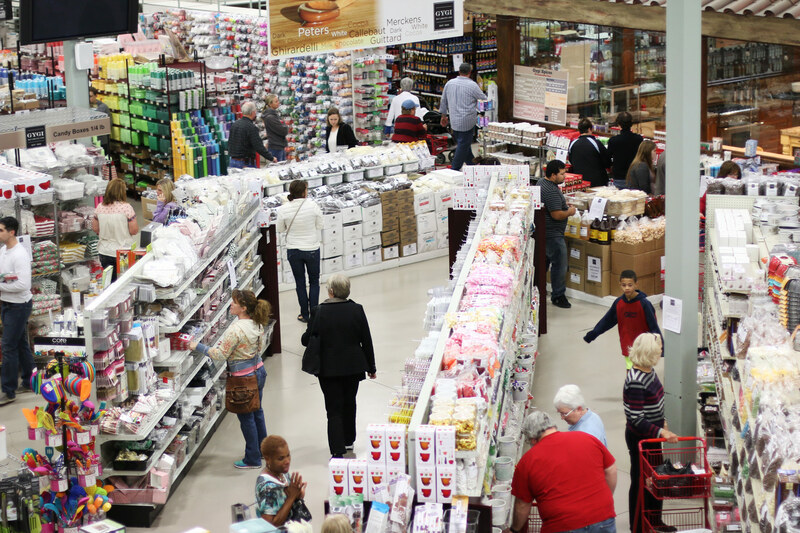 Show us your artisan deviled eggs @Orsongygi.